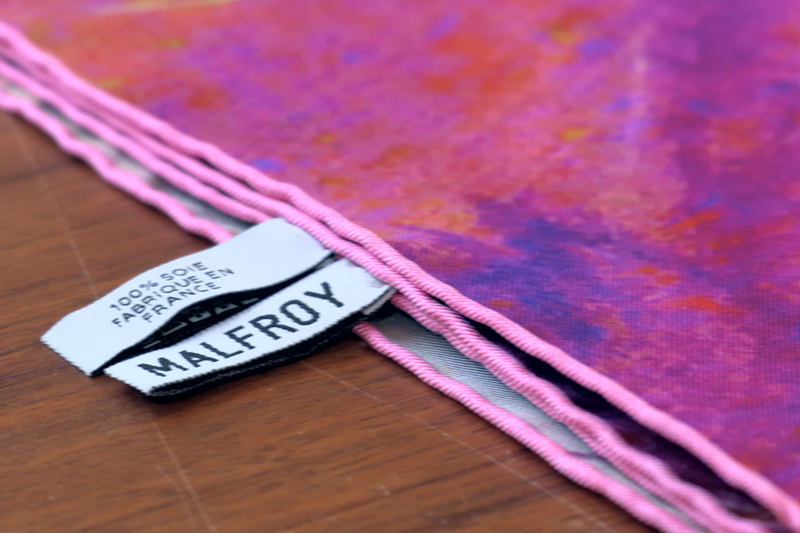 With over 70 years of experience in silk scarves in Lyon, Maison Malfroy is still well known today for its original designs and quality materials. Since 2009, MALFROY products are distributed in France but also a number of other countries including Canada, Japan, Korea and China. In 2011 Maison Malfroy opened its fourth store in Beijing. If you are a professional, you can find all our products at exhibitions in France and abroad, and benefit from the brand’s reputation in Japan, Korea, Taiwan, Canada, etc. Our high-end products are created in our design office and manufactured in France. We guarantee your satisfaction with every order. We are present in a large number of stores in France and abroad. You can also visit us at various exhibitions in France or in our factory outlet in Saint-Genis-Laval.